We work with early stage SaaS companies and startups providing fractional sales and marketing leadership and we have helped generate over $2 billion in revenue, creating strategies, identifying new opportunities, building, managing and mentoring sales and marketing teams and opening new markets that target and garner results. 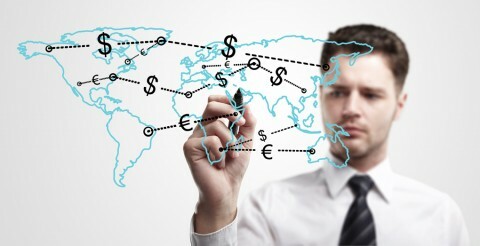 revenue and business development efforts both domestically and internationally. We can help you realize and develop a global pipeline of opportunities. We work closely with you to assess new opportunities to drive growth. We are your executive-as-a-service fractional sales & marketing leadership evangelists and we understand the metrics, challenges and opportunities. We have powered over 20 SaaS companies, with a strong confidence and ability to drive revenue quickly and get your team in shape. We empower a strong team oriented environment, and have a strong understanding of the marketing and selling challenges facing founders and early stage tech companies. We help you define, implement and execute a sales and marketing strategy, lead and mentor your direct team, build and manage the pipeline to accurately forecast and deliver revenue fast. Our fractional management process helps create now opportunities for SaaS companies. We identify and develop new relationships with industry partners, rapidly synthesize your market and competitive position, as well as operational and financial characteristics to help you turn all that hard product development work into real revenue and fast.